You want to custom print 10" glow sticks with a message or simply purchase some glow products for a fun event? You can feel confident that Glow Authority has the quality, reliability, and price that fit your needs!� We have you covered for everything from simple birthday wishes to business logos. What is a sponsored custom glow stick? This is an amazing offer. You can now buy custom 10" glow sticks online in only a few steps. You have a choice of 1 line of text and a choice of 6 ink colors (White, Black, Blue, Gold, Red or Silver). 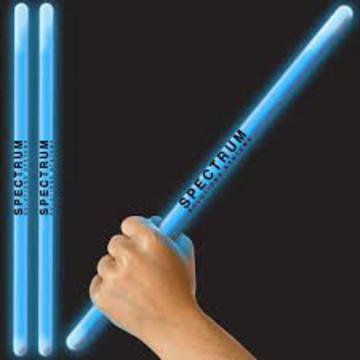 Each custom 10" glow stick is $1.68 per unit and must be ordered in packs of 25. Note: This offer does not include business logos or icons. If you would like these on a custom print job, please call or email customer service to get a quote.